Nepal is full of wilderness adventure spots and mesmerizing landscapes for people to relish. Rolwaling Trek Region is considered as “The Grave” Valley because of lots of myths hidden inside the valley itself. It is believed that the fossils of mysterious mountain animal Yeti is supposed to be beneath the valley. The region is at the vicinity and inside the Khumbu region of Nepal. The place is outstanding from the religious point of view as well. The area is considred as the best place to gaze upon the holy Mt. Gauri Shankar regarded as Lord Shiva. Get chilled mountain air along with some spectacular mountain vistas on the trekking trails of Rolwaling area. 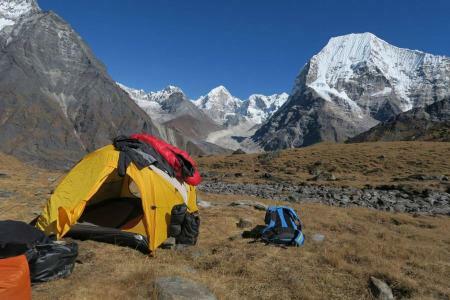 The Rolwaling Trekking Region is sandwiched between Langtang Region and Everest Region of Nepal. For the spiritual beckoning and for wilderness thrill the region is perfectly suited. It endows cultural exuberance and natural vibrancy. Many ethnic tribes of Nepal can be found in this region like Brahmin, Lamas, Chhetris, Tibetans and Sherpa. Journey of every Rolwaling Trekking trails starts from the hilly town of Dolakha and follows the trail along the Tamakoshi River. 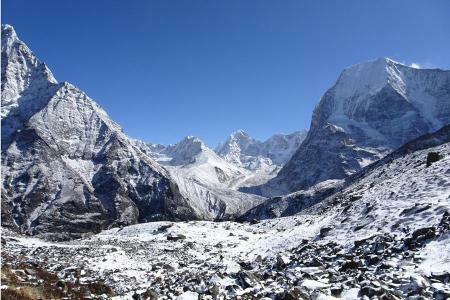 Prominent mountains that trekkers can see on this region while doing trekking in Nepal are Lhotse, Everest, Nuptse, Choyou, Amadablam, Khumbila, Gauri Shankar, Thamserku, Yalung, Ramdung, Kwangde etc. Though the trekking trails of this region are categorized under off the beaten trekkers can find ample amount of teahouses and lodges except in some camp places. The trails of this region are equally challenging and requires enormous amount of intrepidity on trekkers. Crossing of Tashi Lapcha Pass could be the most daunting among all. Unique Adventure International wanted to provide various options for trekkers to enjoy Rolwaling Valley. Therefore, we have created the challenging trekking route and moderate trekking route in this region. Book any of the trekking packages of Rolwaling Trek Region with us and get best services during momentous Nepal Trekking adventure.